Each component that goes in or on our hydraulic press equipment is carefully selected and tested for durability and reliability. For our presses designed with belt feeding and belt cutting we’ve partnered with industry leaders such as Chiorino and Novex to outfit our equipment with industrial strength die cutting belting and conveyor belting. 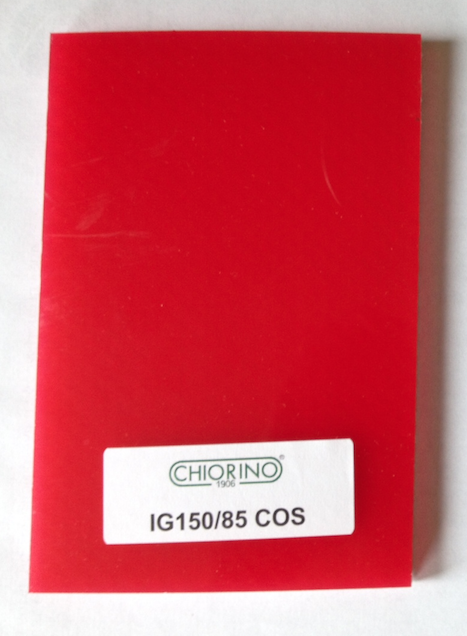 Freeman Schwabe is an authorized distributor for Chiorino belting products. 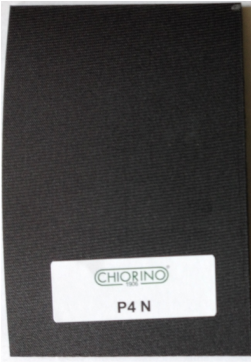 Chiorino’s P4 Series Die Cutting Belts are commonly referred to as “the finest die cutting belt available” – this is the reason Freeman Schwabe and SchwabeUSA die cutting presses offers Chiorino brand die cutting belts. The P4 Series die cutting belts are extremely hard with a 85 durometer shore D which provides for a flat cutting surface that does not require penetration to successfully obtain clean die cuts on difficult to cut materials. This product can also be used as a cutting pad for Clicker Press applications. These belts outlast urethane covered belts 4 to 6 times generally although belt life depends upon the application, quality and condition of the cutting die and the quality of the die cutting press. Additionally, these belts can often be repaired, thus prolonging belt life. 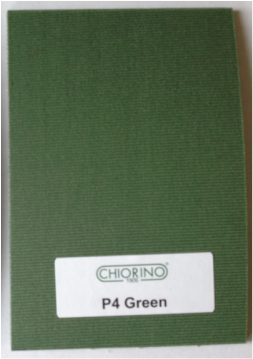 The three types of the P4 Series are: P4 (Green), P4/N (Black) and P4P (Without Cover). The varying characteristics between each type of belt allows for a wide range of cutting applications. 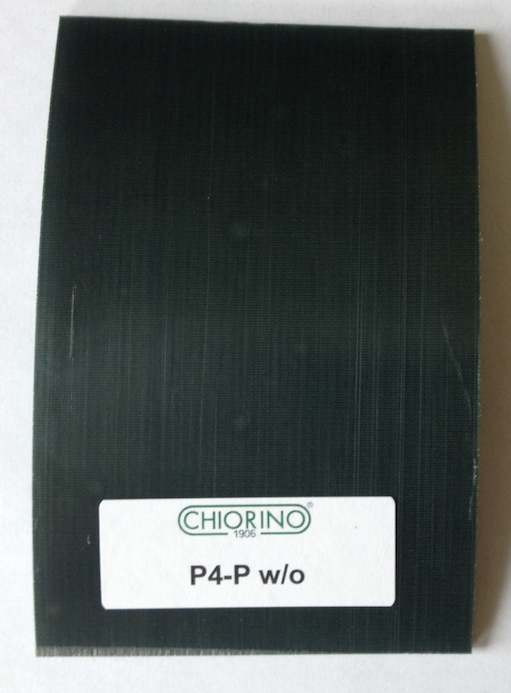 The P4P is distinctive and unique that in addition to its 85 shore D hardness, it has a bare nylon cutting surface that can substantially reduce contamination of the die cut material as the belt wears in operation. This can be especially valuable when cutting light colored product or materials for the cosmetic or medical industry. Freeman Schwabe Machinery supplies these belts not only on our die cutting presses as original parts, but also as replacement belts. Simply refer to the part number contained in your die cutting press manual. Freeman Schwabe also can supply you a die cutting belt for other die cutting presses. Please email us or call us with the Type, Length, Width and End Preparation and we can provide a quote same day. Shipment is usually for all orders within 2-3 working days and we also offer Installation Services anywhere in the world. Novitane thermoset polyurethane is specially formulated through a unique process called synchronous casting. As the cover of the belt is cast, the fabric is saturated and penetrated simultaneously with polyurethane. Since there are no plies to separate, many of the problems which can lead to less-than-ideal belt life are eliminated. Available in widths up to 96” without a longitudinal splice. Freeman Schwabe is your one stop supplier for endless nylon and urethane cutting belts.We supply belts for the Freeman Schwabe Machine, along with Herman Schwabe Presses, Schon, Bruno, Atom, Hudson, USM, and Associated Pacific presses. We also have contamination free nylon belts for critical applications. Ideal for Kiss Cutting applications – steel plates provide a hardened and accurate surface for precision kiss cutting. Cutting Plates are manufactured from American-made high-carbon steel, which is hardened, tempered, ground and polished. Ground and polished for tighter parallelism and flatness. Freeman Schwabe has many presses that cut steel against steel. The steel plates do need replacing at some time and we can supply them. We supply steel plates for the Freeman Schwabe Machine, along with Herman Schwabe Presses, Schon, Bruno, and Atom presses. The finest super alloy steel is used for all plates. The Plates are heat-treated to precise hardness up to 52 HRc for optimum toughness strength and wear resistance. The cutting plates are ground and polished to produce the ultimate in parallelism and flatness.